3DInCites publishes a review of Image Sensor Americas presentations on stacked image sensors. 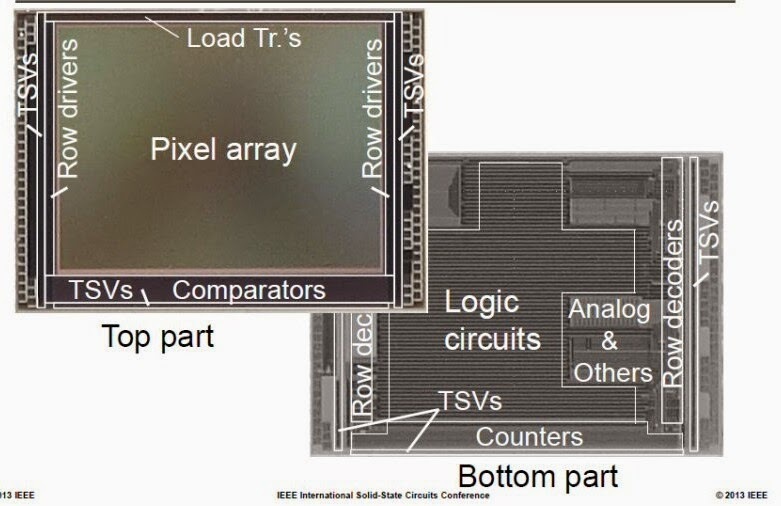 "Stacked chip image sensors require high volume manufacturing (HVM) to be cost-effective, explained [Piet] De Moor [IMEC], because of the cost of the manufacturing equipment lines. Because of this, to date stacked BSI CIS are only manufactured by Sony and TSMC (for OmniVision) targeting consumer products, where the volume requirements are higher."